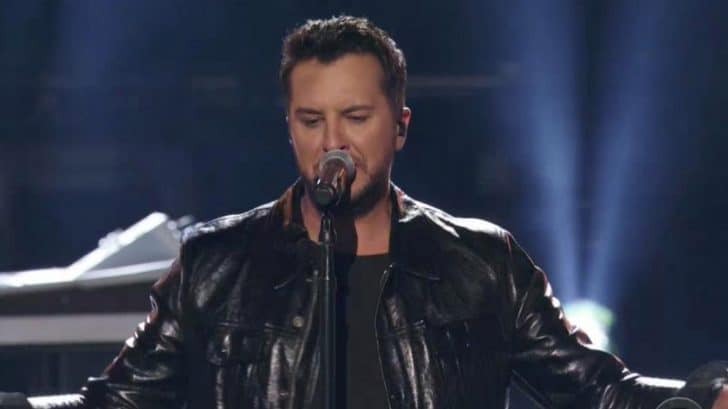 For a while there, we didn’t know if we would see Luke Bryan on stage at the ACM Awards! The first round of performers were announced, and Bryan was left off the list, which included Brothers Osborne, Kane Brown, Miranda Lambert, Little Big Town, Reba McEntire, Maren Morris, Thomas Rhett, Chris Stapleton, George Strait, and Jason Aldean. Just announced to perform at the 54th #ACMawards are artists @brothersosborne, @kanebrown_music, @mirandalambert, @littlebigtown, @reba, @marenmorris, @thomasrhettakins, @chrisstapleton, @georgestrait + previously announced @jasonaldean. Tune in Sunday, April 7 at 8/7c LIVE on @cbstv. After the second rounds of performers, as well as a long list of collaborations came out, we had almost lost hope. But thank goodness there was one more round of performers to be announced because he was on it! The ACM Awards marked the very first time he played it live for an audience! He just released it on April 1, and all week has been showing his fans different versions. He played it on his acoustic guitar, and even teased a piano version. Bryan had the audience swaying back and forth to the beat and his wife, Caroline, blushing to the song’s sensual lyrics. He even walked down the stage’s steps to give her a cute embrace in the middle of the song!